Qatar Airways Cargo has announced that it will commence its first freighter service to the Cambodian city of Phnom Penh on 3 April. The A330 freighter operating on the Doha–Phnom Penh–Doha route once a week will offer over 60 tonnes of cargo capacity each way. Garments, which represent the largest portion of Cambodia’s manufacturing sector and account for 80 per cent of the country’s exports, represent the majority of uplift out of Cambodia. Qatar Airways Cargo currently carries more than 70 tonnes of belly-hold cargo on the daily wide-body passenger flights to Phnom Penh via Ho Chi Minh City, Vietnam every week. The introduction of direct freighter services on this route offers exporters increased capacity and flexibility to transport their commodities to Qatar Airways’ global network of more than 150 destinations via its state-of-the-art hub in Doha. Asia Pacific is a prime air freight market for Qatar Airways Cargo, and the launch of freighter service to Phnom Penh increases the cargo carrier’s freighter network to seven destinations on the continent. New passenger flights to Canberra in Australia and Medan in Indonesia have also been announced by the airline recently, in addition to the existing 29 passenger destinations in Asia Pacific. 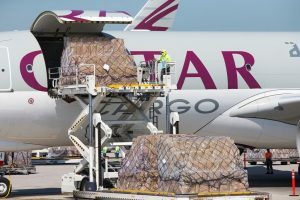 Qatar Airways Cargo has made a substantial investment in its operations at its Doha hub to ensure all cargo deliveries are processed efficiently and seamlessly. Special facilities and well-trained personnel ensure expert handling over a wide variety of product categories, which include express products, livestock, dangerous goods, valuables, vulnerable goods, automobiles, perishables, oversized cargo and general cargo that require air freight carriage. Qatar Airways Cargo recently took delivery of its 12th Boeing 777F, taking the total count of freighters in operation to 21. The cargo carrier offers QR Charter, utilising its most modern fleet of Boeing B777s, Airbus A330s and Boeing 747 freighters. Its portfolio of distinctive products currently includes QR Pharma, QR Fresh, QR Live and QR Express offering efficiency and compliance in the handling of temperature-sensitive pharmaceutical and perishable cargo, transportation of live animals as well as time-critical shipments. Next articleAntonov new aircraft AN-132D takes its maiden flight on same day as A319neo and Boeing 787-10!